Keep in touch by signing up for my quarterly newsletter. Solomon is Irish, Catholic and loves his country. Petula is a free-spirited artist caught in the hippie dream enveloping mid-sixties San Francisco. When Solomon takes up a scholarship at San Francisco State, his resident landlord is a Buddhist believer and advocate of an alternative way of living. Walk with Solomon down Haight Street on his journey of discovery though the Love Pageant of 1966, the criminalisation of LSD, the Vietnam War and the Human Be-in. Will Solomon’s traditional views of employment and financial security triumph? 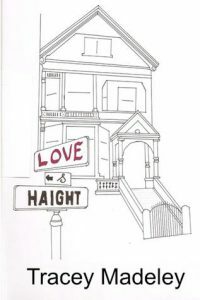 How will Solomon’s experience of the Haight change him? And will his feelings for Petula take him in another direction? Travel back in time and experience what it may have been like, in a time of change, amongst the Love Generation of the 1960’s. Jarred and Peter are two brothers. Peter is pursuing the more conventional route of University, hard work and a good job. Unfortunately he will come to realize that hard work will not guarantee him his chosen career. The family have the same plans and expectations for Jarred. Taken away as a baby, Jarred was brought up by his maternal aunt and uncle. 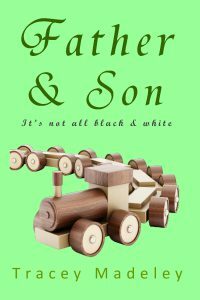 When he discovers his biological father, Solomon, he is filled with many unanswered questions. Why didn’t his father want to be part of his life? What part had his grandparents played in the separation? How did he piece together the missing years and why didn’t his grandparents mention his mother, who died in childbirth? 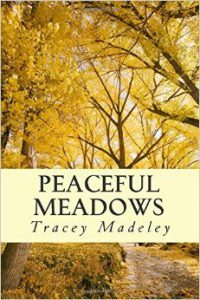 A thoughtful tale of loss and prejudice and how it drives a wedge between families. Was Grace right? Only the reader can decide. It’s not all black & white.